A toddler doesn't need to eat as much or as often as he did as an infant. His appetite drops because his growth rate slows. If he kept up the growth rate of the first year, when he tripled his weight and doubled his height, he'd be around 60 pounds and 5 feet tall at age 2. Since he'll grow just 3 inches and gain 3 to 5 pounds between the ages of 1 and 2, his appetite will decrease. To achieve this gain, he needs to consume between 1,000 to 1,400 calories per day, according to the Kids Health from Nemours website. If you're expecting your toddler to keep eating like he did the first year, you might interpret a normal decrease in food intake as a lack of appetite. The average toddler needs just 2 ounces per day of a protein source, 3 ounces of grains, 1 cup each of fruits and vegetables and 2 cups of milk at age 2, according to KidsHealth. Fruit juice counts as part of his fruit intake. If you add up everything he eats during the day, you might realize that he's getting the nutrition he needs, even though it doesn't seem like he's eating much. Your toddler might simply be too busy to want to eat. The world begins to open up to a toddler, who's generally mobile under his own steam. With rooms to explore and mischief to make, your toddler might be more interested in keeping going than stopping to eat. Make it easier to keep up his calorie intake by putting out a mini-smorgasbord of food that he can eat on the run. Use a muffin tin to hold cut-up vegetables, healthy cereals, pieces of fruit or tiny sandwiches. Toddlers often do better with grazing than sitting down to a full meal, pediatrician and author Dr. William Sears explains. The most common medical cause of appetite loss in toddlers is iron-deficiency anemia. A low iron count is common in toddlers who don't eat enough iron-rich foods, such as meat or fortified cereals. Anemia can cause lack of appetite as well as a decrease in energy and paleness. A blood test can diagnose anemia. If he's still drinking bottles, he might be getting too many calories from cow's milk, which contains no iron and also decreases his appetite for other foods. Too much juice can have the same effect; limit juice intake to 4 to 6 ounces per day and milk intake to 16 to 24 ounces per day. There are times when your child may have lost his appetite, or does not want to eat at meal time. This can be discouraging and concerning. Still, there are simple ways to make meal times an enjoyable time for you, your child, and the entire family. The eating habits your child develops as a toddler can determine his habits for the rest of his life. Poor eating habits are hard to break. Eating in a healthy, positive atmosphere helps children to develop healthy attitudes about food and themselves. Eating together is one way to help your child develop healthy attitudes about food. Illness sometimes causes loss of appetite. If your child has a sore throat, rash, or fever or other symptoms, your child may be sick. Contact or see a doctor if your child seems unwell or is not getting better. For children over 1 year old, appetites increase and decrease according to age, energy levels, periods of growth, and temperament. If your child appears healthy and happy, there is probably no reason to be concerned about a temporary slump in appetite. There are some ways you can encourage your child to eat. Meal times are important social times for growing children. Try to make this time of the day more enjoyable for your child. Offer your child different foods and have them choose which foods they will eat. Try not to focus on what your child is NOT eating, but rather focus on what they ARE eating. Show by example that eating is fun and enjoyable. Some health providers encourage parents to adopt a feeding theory called “division of responsibility”. According to this theory, parents are responsible for providing the “what” of feeding and the child is responsible for “how much” he will eat. That means the parent is in charge of offering food to the child and helping the baby or young child become calm and organized during feeding. As the child grows older, the parent chooses and prepares the food, provides regular meals and snacks, makes eating times pleasant, and provides a good role model for the child by enjoying food at mealtimes. Parents should forbid eating between meals or snacks. Between these times, try to encourage drinking only water. This theory helps parents trust that their child will get enough nutrients from the food he chooses. Children have smaller stomachs than adults. They do not eat as much at meals. Five or six smaller meals or snacks may better meet your child’s caloric needs. This may also cause less trouble at mealtimes. Folic acid and other B vitamins, including niacin, thiamin, and riboflavin. · Offer your child lots of vegetables and fruit in bite-sized portions. · Milk, yoghurt, cheese and other dairy products offer a balance of proteins, carbohydrates and fats, calcium and vitamin D.
· Lean meats, poultry, and fish, as well as tofu, beans, and lentils provide your child’s body with proteins, fats, vitamins and minerals (such as iron). Your child may have his favourite foods, but new foods can be introduced little by little. Be prepared for your child to reject new foods at first. Mealtimes should be a pleasant time for the entire family. It is not a good idea to coerce your child to eat against his will. It may discourage your child from eating that particular food in the future. Ordering your child to finish everything on his plate may have the same effect. Refusing food may be a way for your child to assert his independence. Health providers say that most children will eat what they need. Do not feed your child with the television blaring nearby. Other distractions like toys or books should also not be brought to the table while eating. · Prepare your child for mealtimes. Let him know 10 or 15 minutes before you serve the meal. 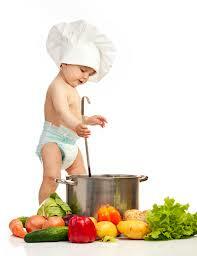 · Encourage your child to help prepare meals. He can wash vegetables or stir ingredients. · Serve drinks only after the main course so that your child does not fill up on liquid. · Put some newspaper under and around your child’s chair to avoid tiring clean-up after the meal. · Model healthy eating habits for your child. Make sure to eat nutritious foods and eat slowly. · Give fun names to those foods your child does not like (such as “yummy tree broccoli”). · Never use food as a reward or punishment. Feeding—breast milk, formula or food. Your baby is responsible for everything else—when, where, how much, how fast. · Serve small portions frequently. · Vary your child’s menu. · do not force feed or use food as a reward or punishment. When a toddler doesn't want to eat, it is frustrating to parents. They want their child to be happy and healthy, and lack of appetite can cause a child to have slowed development. By being patient and diligent, parents can help picky or challenged eaters to get back to eating healthy meals daily. Start by keeping a journal of the items the toddler does enjoy eating over a couple days. Make notes on what time the toddler seems hungrier than others and the foods the toddler seems to enjoy more than others. Have the toddler help select items at the grocery store that they enjoy eating to help them feel connected to the food they will eat. Make sure to continue offering the toddler three main meals daily along with 2-3 snacks during the day. Try not to pressure the child to eat. Instead, allow them to determine how much they would like to eat at meal times. Integrate natural herbal items into the toddler's diet that will enhance their metabolism and aide in helping boost their appetite. Ginger, Borago officinalis and Emblica officinalis are herbs that can be found in local health food stores and can be added into a toddler's diet to increase healthy metabolism. Get creative with food and try to have fun food items available at meal times. Turn sandwiches into faces or make meatballs in interesting shapes. Avoid high fat and salt food items and provide healthy choices for the toddler as often as possible. Educate the toddler about food and what it does for the body. Take the toddler on field trips to local food producers such as a dairy farm to teach the child about how food is created and where it comes from. This may encourage their eating habits. Make sure to set good eating habits by eating by example. Have family meals where everyone sits at the table and eats together. Allow the toddler to feed itself by providing finger food options. Give the toddler juice or homemade or store bought smoothies as drink options at meals, which offers healthy nutrients along with needed calories. Iron is a mineral everyone needs to keep their body working at its best. Iron works by forming hemoglobin, which is an important part of red blood cells. Hemoglobin carries oxygen to all parts of the body. When the body does not have enough iron, a child can develop iron-deficiency anemia. This means the body cells get less oxygen. This causes the child to look pale and feel tired, weak, and irritable. To be healthy, growing children need a constant supply of iron, otherwise their iron stores become low. Iron deficiency can occur in babies and children if they have a diet low in iron-containing foods, or if their bodies have trouble absorbing iron. Drinking a lot of milk (more than 20 ounces, or 570 mL, per day) or juice (more than 4 ounces, or 115 mL, per day) every day. Children fill up with these low-iron fluids and do not get the amount of iron that their body needs. Drinking from a bottle after 2 years of age. These children are at a higher risk of iron-deficiency anemia than those who stop bottle-feeding earlier. Breast milk contains enough iron to prevent anemia for the first 4 to 6 months of life. After this, babies need other sources of iron in their diet, such as iron-fortified cereal or meat. If you choose to bottle-feed, use an iron-fortified formula until your baby is at least 1 year of age. Do not use "low iron" formulas. These formulas do not contain enough iron to meet your growing baby's needs. To make sure your baby is getting enough iron, babies who are exclusively breastfed until 6 months of age can be offered meat or iron-fortified cereal as a first food. · An iron-fortified infant cereal can be introduced at 6 months and can be continued until your child is 2 years old. · Meat is an excellent source of iron. Meat dinners with vegetable have more meat, and therefore more iron, than vegetable dinners with meat. 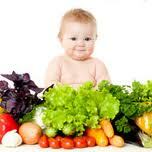 · If you choose to offer your baby a vegetarian diet, try medium or firm tofu, peas, lentils, and beans. · Remove all bottles and offer milk from a cup. · Limit milk intake to 2 cups (16 ounces, or 450 mL) every day. · Offer iron-containing foods every day. Oral iron supplements (ferrous fumarate) are required to treat iron-deficiency anemia. Supplements should be taken as prescribed by your doctor. Iron supplements are absorbed best when taken with a source of vitamin C, or on an empty stomach. They are absorbed poorly if taken with meals. Iron supplements should not be taken with milk or dairy products. Please speak to your doctor, dietitian, or pharmacist for more information about taking iron supplements. Providing children with foods high in iron can increase iron stores and prevent iron deficiency from occurring. · Limit cow’s milk to 2 cups (16 ounces, or 450 mL) per day. · Limit juice to 1/2 to 1 cup (4 to 8 ounces, or 115 to 225 mL) per day. · Serve beef, pork, lamb, chicken, dark turkey meat, or organ meats every day. · Select cereal, bread, rice, and pasta with the words "enriched" or "fortified" on the label. · Serving citrus fruit (orange, grapefruit, tomato) with iron containing foods to increase absorption: for example, hamburgers with orange juice to drink, orange wedges with meat, chicken wih broccoli, or spaghetti and meatballs with tomato sauce. · Add dried peas or beans to soups and casseroles. · Using liquid from canned peas and beans for gravies, soups, and stews. · Serving liver pate or sardines on whole-wheat crackers or toast. · Making liverwurst, canned corned beef, or sausage sandwiches. · Sprinkling dried fruit (dates, raisins, prunes, apricots) on cereal. · Adding raisins to lunches, favourite desserts, and hot cereal. · Using oats, whole-wheat flour, and bran when baking. · Adding blackstrap molasses to muffins, baked beans, gingerbread, and cereals. · Adding beef to tomato or pasta sauce. · Adding chunks of ham to macaroni and cheese. · Serving baked beans with pork and tomato sauce. · Using kidney, lima, or navy beans with cooking. · Using whole-wheat or enriched breads and cereals. · Serving cream of wheat or oatmeal for a snack. · Offering water for thirst in between meals and snacks. · Iron is a mineral that forms hemoglobin, which carries oxygen to the body. · Without enough iron, a child can develop iron-deficiency anemia. This means the body gets less oxygen, causing the child to look pale and feel tired, weak, and irritable. · Your child’s doctor may prescribe supplements if your child has iron-deficiency anemia.